Garrick Ohlsson, playing without a score, dignified the piece with his phenomenal pianism - never self-servingly virtuosic - and equally phenomenal memory. Why See Houston Symphony - Garrick Ohlsson? The Houston Symphony Orchestra welcomes special guest conductor Eno de Waart, who'll be taking a little time off from his duties as Music Director of the New Zealand Symphony Orchestra to lead a rousing program of Beethoven and Elgar this winter. The ensemble will also host the prodigious talents of ivory-tickling virtuoso Garrick Ohlsson, the foremost Mozart and Beethoven instrumental interpreter in America whose masterful interpretations and technical prowess has earned him solo spots with many of the world's leading orchestras. The program begins with Beethoven's celebrated Piano Concerto No. 3, a landmark work that helped to usher in the Romantic era and was directly inspired by Mozart's Piano Concerto No. 24, strengthening an artistic link and admiration between the two classical giants. 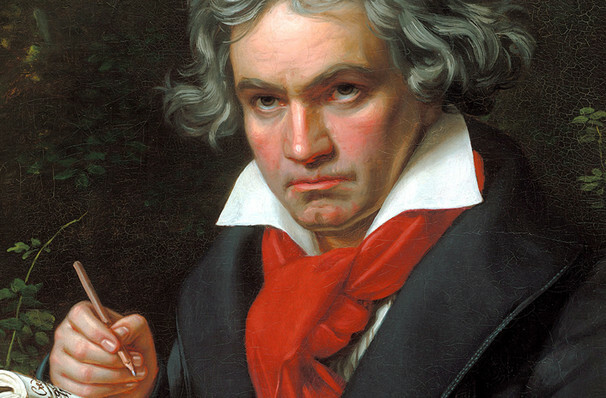 Legend has it Beethoven himself performed the solo when it debuted in 1800 because he ran out of time to transcribe the piano part! The evening comes to a close with Elgar's First Symphony, an astonishing orchestral whirlwind that ends in a glorious, triumphant march. Seen Houston Symphony - Garrick Ohlsson? Loved it? Hated it? Sound good to you? 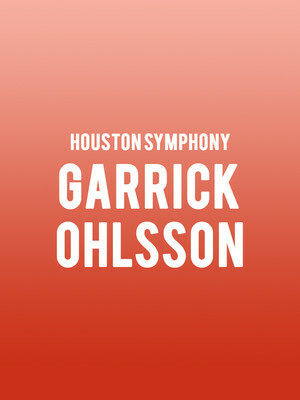 Share this page on social media and let your friends know about Houston Symphony - Garrick Ohlsson at Jones Hall for the Performing Arts. Please note: The term Jones Hall for the Performing Arts and/or Houston Symphony - Garrick Ohlsson as well as all associated graphics, logos, and/or other trademarks, tradenames or copyrights are the property of the Jones Hall for the Performing Arts and/or Houston Symphony - Garrick Ohlsson and are used herein for factual descriptive purposes only. We are in no way associated with or authorized by the Jones Hall for the Performing Arts and/or Houston Symphony - Garrick Ohlsson and neither that entity nor any of its affiliates have licensed or endorsed us to sell tickets, goods and or services in conjunction with their events.